I haven’t met anyone (so far) who doesn’t like anything sweet. I’m starting to think that most of us are really programmed to like sugar! But the thing is, we all know how sugar can be bad for our health and can be highly addicting. New research has been claiming that some of us can be genetically more prone and inclined to crave sugar compared to others. It can even be compared to being addicted to heroin, nicotine or cocaine. The bingeing and addictive behaviors can be very similar in alcoholics and sugar addicts– sounds scary, right? If you think you have a sugar addiction, don’t worry because that can easily be modified by modulating your brain chemistry through the food and nutrients that you consume. Regulating your hormones and neurotransmitters that affect your appetite and cravings can greatly affect how you handle your sugar addiction. Balance your blood sugar levels. Research indicates that low blood sugar is linked to lower blood flow to the brain which means you’re prone to making bad decisions– such as eating more than what is required. In order to keep your blood sugar level stable, make sure that you eat a nutritious breakfast that has a lot of protein. It is also good to eat or snack every 3-4 hours which includes protein (Nuts, healthy fats, and seeds). You’ll be surprised at how this helps people maintain weight loss instead of the other way around. Remove all sugar and artificial sweeteners to your diet. If you’re not going to stop eating it, then what’s the point of it all? Go cold turkey! Avoid it at all costs and let your brain reset. Get 7-8 hours of sleep daily. Did you notice that every time you didn’t get enough sleep, you’re more likely to crave sweets? It’s because research shows that lack of sleep can increase cravings. Go for fruits. If you’re just looking for a snack that’s not savory and you really find yourself craving for something sweet, opt for fruits. Fruits have sugar but not the refined one that we considered toxic. You’ll find that after a while of eating fruits as a dessert, you won’t be craving for cakes and cookies! Load up on Vitamin D3. If your vitamin D levels are low, there’s a hormone that turns your appetite off isn’t working, so you feel hungrier all the time even if you keep on eating. Here are some of the foods rich in vitamin D: spinach, kale, okra, collards, soybeans, white beans, etc. Add more Omega3 Fatty Acids in your diet. Low levels of Omega3 can sabotage normal brain cell functions and insulin control. It is highly recommended that you add more of this to your diet by eating chia seeds, walnuts, soybeans, etc. If the cravings don’t stop there, you might want to try this instead. 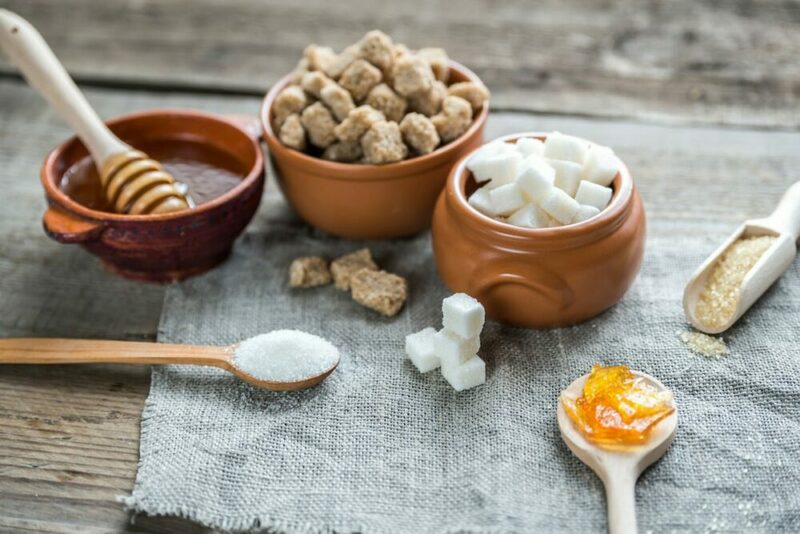 If you think that eliminating the sweet taste isn’t something that you can do, especially when you’re cooking, opt for these healthier alternatives to sugar. I did notice that I crave more sweets whenever I didn’t get enough sweets. I’m a sweet tooth but it gets worse whenever I’m tired. It’s like I could literally eat nothing but sweets all day! If there’s anything that I can’t avoid, it’s sugar. I treat myself once in a while even if I’m living a healthy lifestyle. I don’t think of myself as a sugar addict, but I do love sweet things. Hmmm…. I wonder if I could really go cold turkey on sugar. I think I’ll just switch to the alternatives that you linked. Yes, I’ve tried this. Just not too much because it can become salty instead! I used to always have desserts on the side after every meal. It can either be a cookie, a slice of a cake or even a small cupcake. But after a week of trying to eat incorporate more fruits in my diet, I realized that eating fruits after a meal makes you crave less of those sugary goodies. I even find that I’m fuller, so I do less snacking. Oh no, I do experience this at work sometimes. I even keep a chocolate bar in my drawer just for that reason! I was good for 4 days than i had a doughnut and holy crap…one doughnut ruined the whole day. i ended up eating 4 cookies at 1030pm.yup… flour and sugar are the devil﻿. Thank you, you motivated me to start buying fruits and veggies﻿. Sugar is NOT the issue, when you eat fat it builds up in the muscle cells and blocks insulin, this is what we call insulin resistance. I’m not saying sugar is healthy since it was no vitamins minerals or fibre, but it is not the issue. I’m high carb low fat vegan and my blood sugar is literally flat lined even after a meal. I quit sugar gluten and dairy cold turkey a month ago to help my thyroid. It’s amazing how little I care about food now. It all tastes good, satisfying, and when I’m done, I’m done! Never been this way in my life. Sugar free= freedom from sugar﻿. 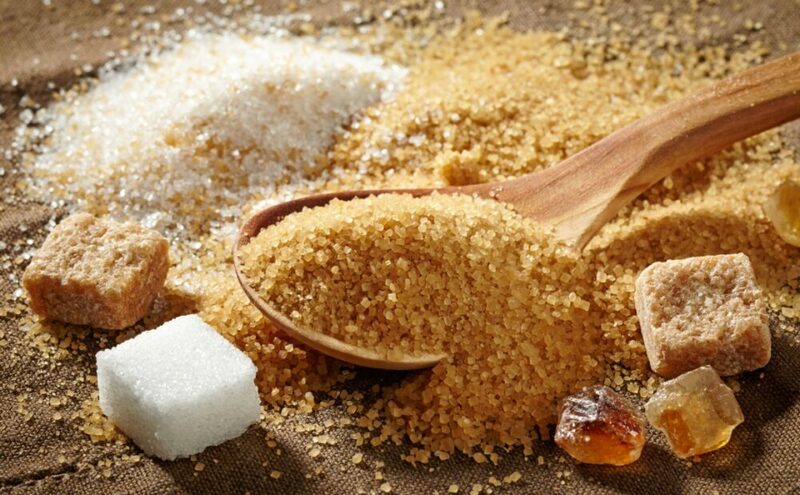 even when you do quit sugar it’s easy to trigger it off again it’s the most addictive substance on our planet yet governments don’t care they want to keep us sick it’s big business if they wanted us off sugar they would put massive tax on it and advertise how bad it is but that’s not good for them﻿. Sure you can. People have more self-control than they think, and are much stronger physically, and mentally than they will ever find out. Seems like good advice to me. I’m off sugar almost a month. Quit cold turkey! Started eating healthier food and added fruit which seemed second rate while on sugar. I am currently fighting this addiction, which keeps winning. Am I the only one? DONT GIVE UP!!! Cut down slowly . if you eat a lot for sugary food on a daily basis it is very difficult to change your whole diet, so do it slowly. I broke what I call my added sugar addiction by slowly transitioning to healthy snacks that such as fruit and other natural whole foods and overtime I lost my addiction to candy, pop, and junk food. I can live without sugar mostly, but you’ll have to pry my 90% Cacao Dark Chocolate bar from my cold dead hands. 1g per square so the whole bar is only 8g, but still I can’t live without it. When I stopped eating sugary foods for a while, a few months if not over a year, sugar didn’t taste the same and those sugary foods tasted worse than ever before﻿. People don’t have to cut sugar out completely. A piece of candy or a soda every one in a while is fine﻿. I haven’t eaten sugar in 3 weeks! my sugar addiction is broken 🙂 I don’t even feel like eating it anymore. It’s taken a lot of willpower… trust me﻿. I can’t stop having soda, energy drinks, chocolate and cookies. Even if I workout and diet I always fail and drink soda and eat crap of candy. My addiction is strong﻿. Have a piece of fruit and dont go grocery shopping hungry helps a lot with controlling what you buy. If you use fruit to satisfy your sweet tooth and arent hungry I find I’m less likely to go for junk food﻿. This all great assuming you can afford this. It misses the fundamental economic problems﻿. I legit almost cry just thinking about living without sugar, legit the only pleasure I have in my lifeeee﻿. I try to fool myself by thinking, “i hate sugar” and stuff like that but it never helps﻿. I just ate a bag of double stuffed Oreos. I need this sugar demon casted out﻿. Where i live nearly everything is made of sugar. All that we in our day to day life have at least some sugar in them. Carbs and sugar foods everywhere. How am I supposed to change the way I eat? I’m addicted to chocolate but i am very healthy I love every type of fruit and I eat 2 boxes of tomatoes every week﻿. I’m trying. I’m so bad, I will literally eat spoonfuls of that sugar in the raw, white processed sugar, even the equal. I am being DEAD SERIOUS. When I don’t, I go through bad withdrawals. Hello, have you experience lack of energy, feeling sleepy or extremely anxious while quitting sugar? I’m addicted to sugar. It’s not that easy to just give it up. What about salt cravings?? It might sound like a joke but I really got them. Ok, its goof to cut off sugar but everything we eat has sugar. The only food with an acceptable level of sugar is chicken/fish and veggies. Stop all processed foods sugar drinks boxed and bagged food. I go crazy if I don’t have sweet after eating a meal. Finally, someone not condemning natural sugar in fruits. Whenever I am craving sugar I eat fruits. It doesn’t have to be healthy, it can be really high sugar fruit, but the point is that fruit is not addictive. If I eat a biscuit or a piece of chocolate when I’m craving sugar, in no time I’ll have eaten the whole packet, but eating something like frozen banana/mango/grapes satisfies my sweet tooth and stops the cravings.